Come see (possibly experience…) Ella read from her debut book! Itchy, Brown Girl Seeks Employment is an ironic Curriculum Vitae where life and work experiences one wouldn’t want a potential employer to know are highlighted using vulnerability, wit, observation, and candor. 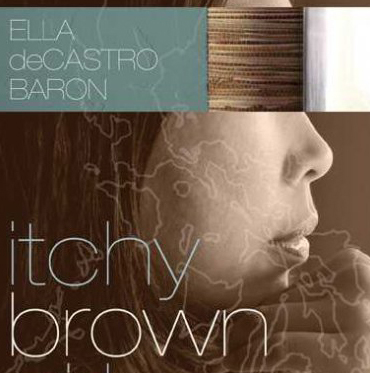 Ella deCastro Baron—a first generation Asian American woman challenged by her parents’ faith, inherited sickness, and questionable life choices—shares of beginning and ending relationships, restlessness, miracles, prejudice, entitlement, and community. She leaves it up to the reader to decide, after assessing her background, education, professional experience, fieldwork, high (and low) achievements, if she is someone worth investing in. It is a collective text of nonfiction using multiple genres: prose, poetry, letters (and e-mails), essays, short stories, and other forms. Ella will be reading from her book around the corner from you. To see where she’ll be next, go to the page (up there to the right) marked “Upcoming Events”! You can also click “Contact Us” if you want to know more about how to organize a reading/performance, workshop, or have questions/comments you can’t publish here [oh Lawwd be merciful]. Malia Martinez, a local vocalist and Filipina (hapa) American and friend, will be singing acoustic original music linked to themes represented by Ella’s book. Listen to some of her music here. You can read more about and purchase Itchy, Brown Girl Seeks Employment by going to: www.cityworkspress.org, http://www.sunbeltbook.com/BookDetails.asp?id=193, or Amazon.com.